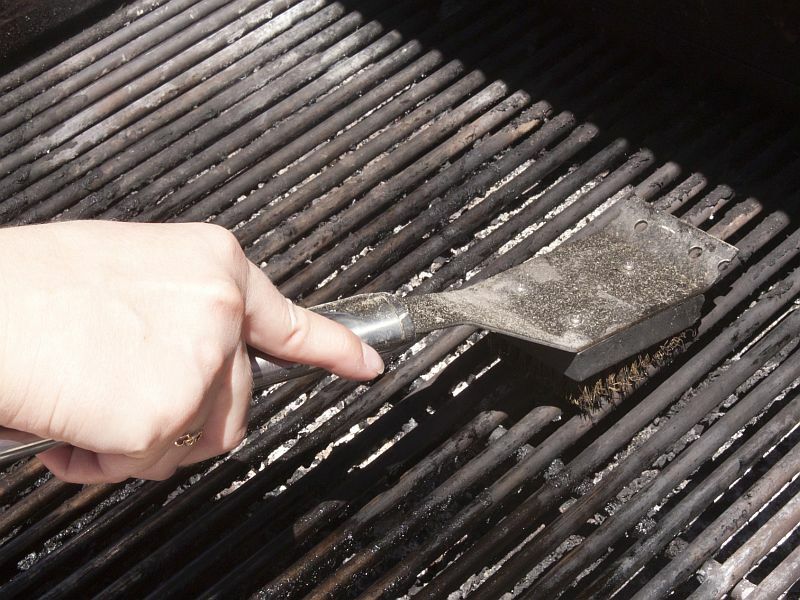 MONDAY, April 4, 2016 (HealthDay News) -- A new study suggests that you might want to take one last look after cleaning your grill this summer, to make sure no bristles from your wire brush are left behind. That's because those loose bristles can stick to the grill, end up in your food, and cause mouth, throat and stomach/intestinal injuries, researchers found. Some of the patients required surgery for these injuries, which were more common in the summer and occurred more often in the mouth and throat than in the stomach/intestines, the investigators reported. The study was published April 4 in the journal Otolaryngology--Head and Neck Surgery. "The issue is likely under-reported and thus underappreciated," study author Dr. C.W. David Chang said in a journal news release. He is an associate professor of clinical otolaryngology at the University of Missouri's School of Medicine, in Columbia, Mo. "Because of the uncommon nature of wire bristle injuries, people may not be as mindful about the dangers and implications. Awareness among emergency department physicians, radiologists and otolaryngologists is particularly important so that appropriate tests and examinations can be conducted," Chang added. In the study, the researchers reviewed studies and analyzed U.S. Consumer Product Safety Commission data. The team identified almost 1,700 grill brush injury-related visits to U.S. emergency rooms between 2002 and 2014. That estimate does not include people who were seen at urgent care or other outpatient facilities, the researchers added. People need to be careful when cleaning barbeque grills with wire bristle brushes, and should examine the brushes before use, and throw them out if bristles are too loose. It's also important to check the grill before use and to consider different cleaning methods, the study authors said.